As most of us know, the best way to get more backlinks involves the creation of worthy content. Most bloggers usually resort to publishing conventional blog posts time and time again, which (let’s face it) can get a tad exhausting. But what if you could build backlinks by creating things other than traditional articles? The following steps involve the creation of other useful content within your blog. In some ways this resembles Brian Dean’s famous Skyscraper technique, in which you publish something far superior (typically in length) than anything else available online. The point here is to create a more centralized and permanent source. Plus, depending on your decision, you could get away with something that’s relatively short, simple, and low-maintenance. The question now is, what would that be? Let’s get started to help you decide. Unlike a blog post, a resources page sits prominently and permanently on your homepage – front and center. This not only gives it more exposure, but it makes said page look and feel special. A term directory/glossary: This could be based on SEO buzzwords, travel-related lingo, street words for your urban blog, or any other set of curious terminology. A source of niche jobs. If you run a blog for developers, you could dedicate a page to remote development jobs on a daily basis. Just aggregate them with a small description and a link. A list of guides and tutorials, great for most niches such as DIY enthusiasts. You may write the guides yourself, purchase high-quality PLR products, or outsource them for cheap using Upwork, Fiverr, or other network. A massive roundup page dedicated to something your audience would visit periodically. For example, what if you had list of 500 ways to make money from home? Alternatively, a list of the best guest blogging articles found around the web. This might also enable you to befriend others indirectly and get more backlinks. A piece of online software or plugin to resolve a common problem. For example, this website has a calculator to determine PayPal transaction fees. What small issue could a tool/plugin resolve for your audience? A list of “alternatives” to something great that no longer exists or has been performing poorly. Think of alternative tools, services, or websites that your audience could definitely use more of. Since you’re visiting this very website and reading this post, chances are you’ve already heard this before: Befriend other bloggers. Especially those with slightly more authority. As a result, I won’t spend much time in this section… considering you already know what to do. Scratch their backs and develop a genuine interest in them (emphasis on genuine). Once again, you should already know how this goes: Once you develop a solid relationship with someone, it’s really not far-fetched to ask for a little favor in return…. Ask them to link to your helpful resources page and repeat this process with many other bloggers. Your resources page will eventually get more backlinks and your entire blog will become more authoritative in the process. Simply put, this page will be the “go-to” place for those who need it. Here’s a nice way to speed up the process: First and foremost, go to Google and search for posts specifically designed for your resources page. For example, let’s say that you tend to aggregate daily jobs for developers. Search for strings like, “websites to find gigs” or “best resources for developers.” Here you will see many results (articles) that are loosely related to your resources page. Connect with those authors, and eventually ask if they’d be willing to add your resources page to their existing (related) post. There you have it. This is yet another way to get more backlinks, gain more authority, and not have to come up with brand new blog posts solely for that purpose. Targeted backlinks mean more ways to make money from home – as long as you give visitors exactly what they’re looking for, of course. Let me know what you think or if you have any questions. Enjoy! Content that doesn’t get links won’t generate any traffic. 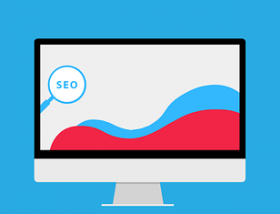 And over the long term, this will actually hurt your SEO standings in the search engines. Here you have shared amazing tips and surely they are going to help people to maximize their productivity level. Eventually, thanks for sharing your wonderful experience with us. I’ve definitely been surprised quite a few times with some of the pages that attract links. My biggest realization has been to position your information as definitive and as an expert so you are naturally referenced. This also works great if you are presenting information that is new to your industry or at least heavily backed with research or data. The “scratch your back..” piece actually works. I have tried it out and I have seen people reaching out to me for the same thing. I am not a believer of too much back-link building instead I believe it essential link building and I feel that the tips that you have mentioned here are simple tips that can help you build valuable backlinks without overly doing it. Yes, and this just reminded me that some of us make blogging/success harder than they need to be. With backlinking and traffic generation, for example, connecting with others usually takes care of A LOT of issues (your audience grows, engagement grows, money grows, you name it). hey Elvis, a great heads up! you have added extra effect to the skyscraper technique.As you said a resource page is worth than a traditional article. keep up the great work! Thanks Nicky! Made my day. Keep us posted on this, should you ever decide to prepare a special page one day. I’d happily link to it if it’s appropriate for any given article. I will test the other advice this week and keep you inform if it’s work for me. This is great. Also, are you familiar with Reddit? I would dig up some subreddits dedicated to this topic and post the link. I dont venture into Reddit very often, but when I do, it’s not uncommon to see 500-1,500 targeted visitors. Then, of course, befriend some people in your space and eventually work something out together. Impressed. Backlinks are essential for any blogs to get traffic. We are usually stick on the traditional methods to build links. But your posts covered beyond that limits. Thank you very much for this informative tips and guidance. Sometime ago i read that the expiration date of a domain is one of google ranking factors. That domain regitered for longer periods gets more rankings. i never believed but you just recommended the same thing in this post. I guess i will have to extend the period of expiry of my domain . Thanks for sharing this awesome post .